Vice President of Marketing for Alinco Costumes. I have been in the mascot industry for over 35 years. Alinco Cotumes makes mascots for over 70% of the NBA and professionals all over the world. Mascots, Mascot Creation, Marketing, Brand Awarness, Mascot Program Consulting, and Business. 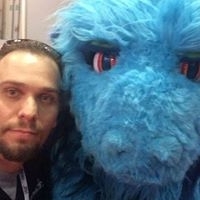 Feel free to contact me with questions about mascoting or your mascot needs. They steal reputable companies photos and say they make them. You will not get what is in the picture!